it’s musical value. Mellow mbira sound, jit, shona, chimurenga ? I am still learning here but I kinda like it, cool and easy Zimbabwe beat. This entry was posted in Zimbabwe by Moos. Bookmark the permalink. 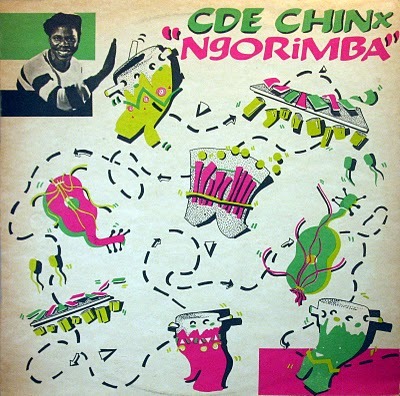 Very melodious Marimba backed music – don’t miss. Apurva from Pune, India. Thanks a lot for this music its hard to find copies in Zimbabwe. Which song in particular do you want a translation for? So many fabulous LPs to listen to – this one is on my iPod at the moment, and (like you) I have no idea if it’s subversive or not, it just sounds mellow and makes me happy! Thanks for all the music. Shamwari yakapenga iyi. Ndi mukoma vako cde love gidi. I am in Scotland now in Glasgow university. Pamper nokuimba. Tell them the truth. I play your music more than any other music, ahead of Bob Marley and Lucky Dube. To me you are number one in the world. Keep up the good work. Aluta continua. I can not listen to all Zimbabwean music I don&#39;t know if you can try to sort this out please Sir.<br />Ypu are doing a good job.